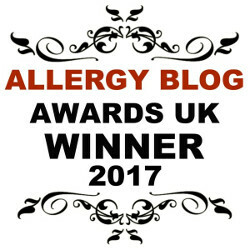 Predicting Anaphylaxis – Who will have an anaphylactic reaction? Past allergic reactions are not indicators of the severity of future allergic reactions. If you have only had mild allergic reactions in the past, it doesn’t mean that you won’t have a severe or even life threatening reaction in the future. The most commonly used allergy tests (skin prick tests or allergen-specific IgE blood tests) will usually show if a person is allergic, however they don’t show the severity of the reaction they may have. The size of the skin prick test or the level of the allergen-specific IgE tests do correlate with an increased likelihood of a reaction, but don’t predict the severity. Other factors can exacerbate reactions – exercising, alcohol consumption, taking anti-inflammatory drugs (NSAIDS like aspirin, ibuprofen), other illnesses like colds and infections. Anyone who has experienced only mild allergic symptoms in the past may experience a life-threatening reaction in the future. 25% of people with a food allergy will experience a near-fatal anaphylactic reaction at some point in their lives. The majority of allergic reactions are not anaphylactic. Most symptoms are mild and can be treated with anti-histamines at the first sign of the symptoms developing. Sometimes these mild symptoms can develop into more severe symptoms quickly, so it’s important to be aware and to be prepared. Some people who only experience mild symptoms assume that their allergy is mild but this may not be the case. If you have been prescribed adrenaline pens, make sure to carry two with you at all times. There’s no way of knowing when you might need them. Disclaimer: The information provided is for informational purposes only and is not intended to be a substitute for professional medical advice, diagnosis or treatment. 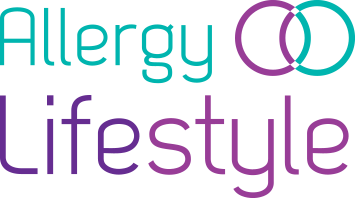 Allergy Lifestyle Limited (t/a) Allergy Lifestyle) uses reasonable endeavours to check the accuracy of information provided however no warranty is given that they are error-free. Always seek the advice of an allergy specialist and follow your anaphylaxis emergency care plan.